There’s always a chance to buy some trials iron at the off-road show. It’s all trails leading to the Telford International Centre for the Classic Dirt Bike Show, over the weekend of February 17/18. 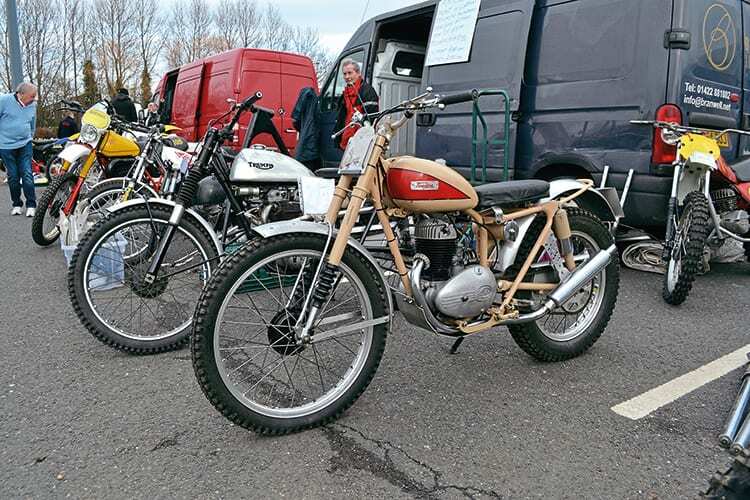 Well-known off-road exponent and raconteur Colin Dommett is one of the guests of honour, and he’ll no doubt have some good tales to tell, with Colin joined by Gerrit Wolsink (twice runner-up in the 1970s in the 500cc GP table) and ex-ISDT rider Peter Duke, who’ll be talking about his late father Geoff as well as his own riding career. There’s also the usual raft of off-road iron – be your preference motocross, trials, racing or speedway… anything that doesn’t take place on the road. Gates open at 10am, advance tickets from 01507 529529, the postcode is TF3 4JH.